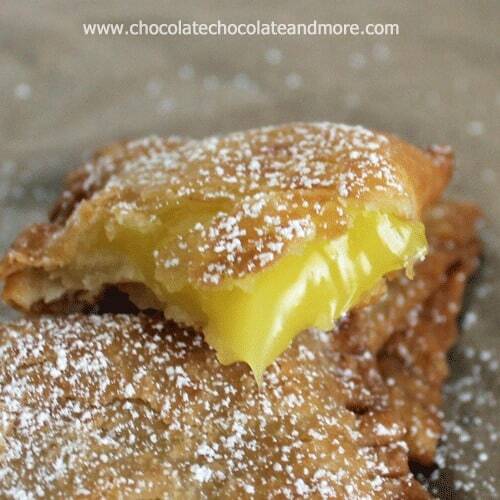 Fried Lemon Pies - Chocolate Chocolate and More! 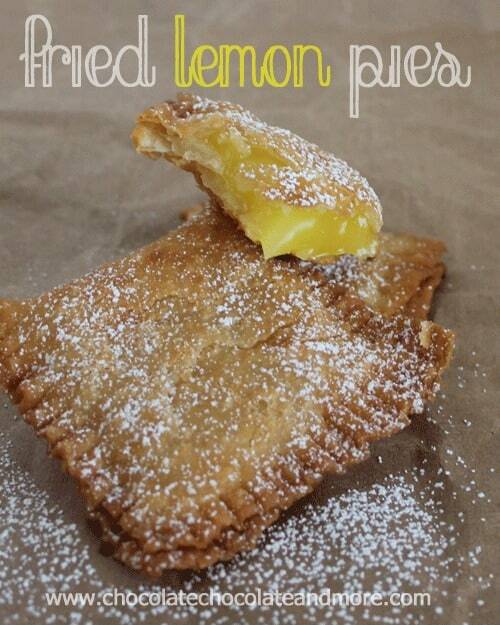 Fried Lemon Pies-just like you remember from childhood! As a kid, I wouldn’t touch fruit in a dessert. I had a strict policy on fruit and sugary goodness going together. They just didn’t in my book. Lemon was the exception. I never considered lemons a real fruit. You make lemonade with it after all. 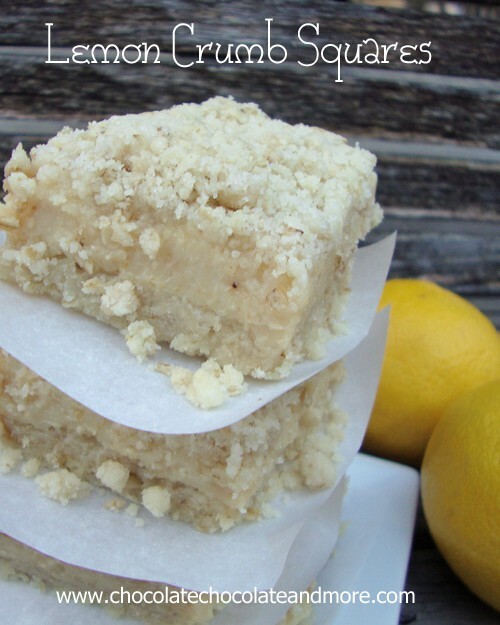 I’ve always loved Lemon Meringue Pie and Lemon Squares. Lemon was the “good” fruit. Who remembers the Tastykake Pies? I know, I know, I’m dating myself. They used to (and probably still do) make fruit pies. 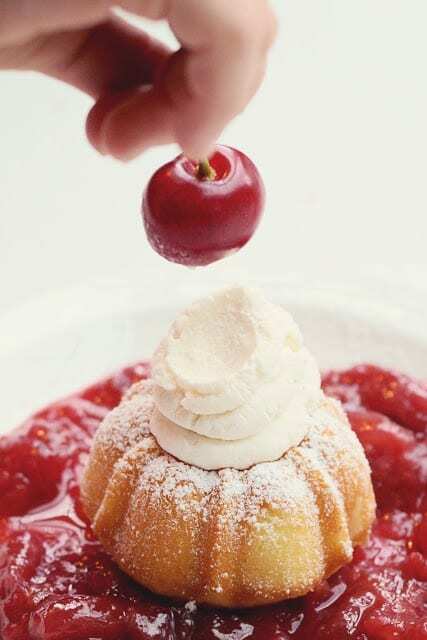 Apple, cherry…and Lemon! I loved those lemon pies. I’d take one of those lemon pies over a slice of chocolate cake any day of the week. Shopping before Christmas, I spotted Comstock Lemon Pie filling. I picked up a can and put it in the pantry where, honestly, I forgot about it. Until the other day. I had already taken a pie crust out of the freezer for another project. And I remembered my friend Kelli had written a post on fried pies. I just couldn’t stand it. I had to make lemon pies, and fast. It almost killed me waiting for the pie crust to thaw. These pies were so good. Better than the ones I remember from Tastykake. And it only took minutes to make once the pie crust was thawed. The crust was so light and flaky and the filling…oh the filling! On lightly floured surface, roll out pie crust, making sure any cracks are sealed. Cut into sixths. Place 2 tablespoons of filling on 3 of your pie crust sections. Place the the remaining pie crusts on top of the filled sections and seal well with a fork. Carefully place pies in hot oil using a slotted spoon. Fry for one minute then turn over for another 30-45 seconds. Remove from oil to drain on racks or a paper towel covered plate. Let cool for at least 5 minutes before eating. Dust with sugar and enjoy. Repeat with remaining pie crust. Do not over-stuff pies, they will fall apart when you try to flip them in the hot oil. Looking for more Lemony ideas? Yum! I didn’t know there was a place Duncan-Hines had canned lemon filling. Mr. Picky Eater LOVES Hostess Lemon Pies and since we don’t have Hostess anymore – I must make these soon!! 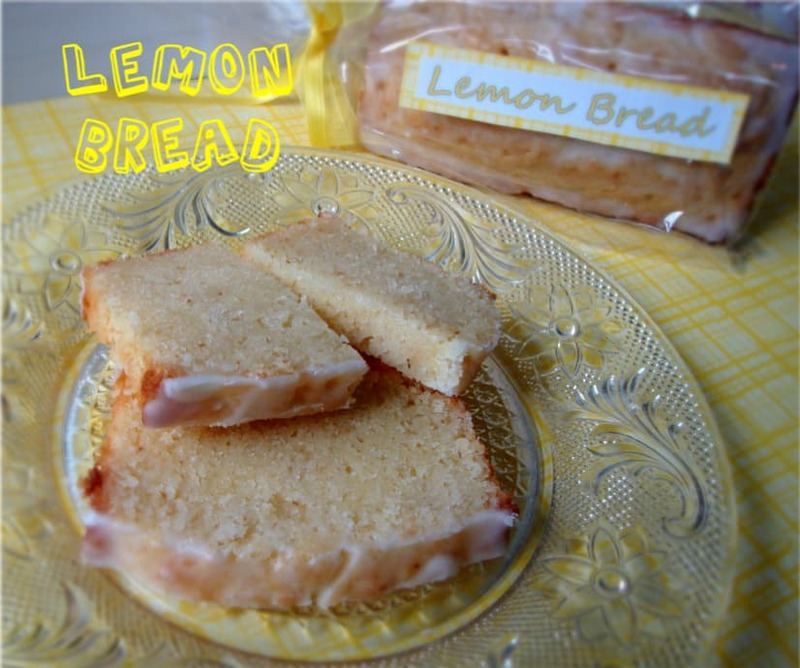 These look Wonderful and my husband is a big fan of anything lemon. These I’m sure would be great with any kind of canned pie filling. I do remember those lemon and chocolate pies! It has been years since I have had one. Although I’m thinking your easy home version looks way better!!! You are speaking my language Joan! LOVE these! 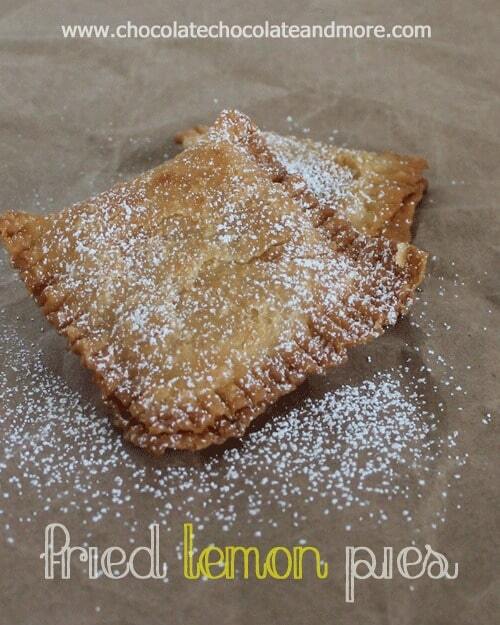 I never would have thought of lemon in fried pies, but I can see how these would be absolutely divine! These would be great with Meyer Lemon Curd (foodinjars.com)! oh my, yes they would Charles! While I definitely will NOT take lemon pie over chocolate, I find the idea of frying them really intriguing! What a fun idea! hehe, Jen, Don’t worry, I’m back with chocolate! Yes, please Joan! I want me some of these. Badly! I’d pass one through the computer to you if I could! WOW!!! I remember these well and can’t wait to try them!!! Those pies were the best! So quick AND so delicious-looking. Joan, these pies are about to break all of my New Year’s Resolutions. But gosh-darned won’t it be fun watching them crumble as I bite into fried lemon pie!!! Thanks Christine, this is why I don’t make resolutions! Thanks for linking up at Show Me Your Plaid Monday’s! Oh I am drooling over the lemon! With all the sweets over the holidays I need some citrus! Thank for sharing! hahahaha, I love you Anita! I threw all those jeans away years ago, who needs trauma in their life when there’s lemon pie? Whaaaa?! Oh my… I need these in my life! Like right away! Is it wrong for me to want to lick my screen? These pies are simply drool-worthy. 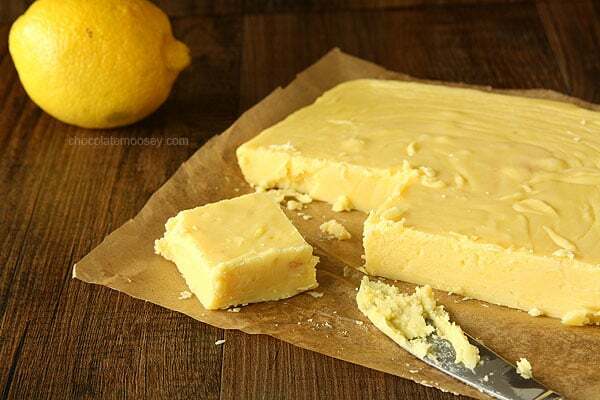 LOVE that lemon oozing out of the sides! 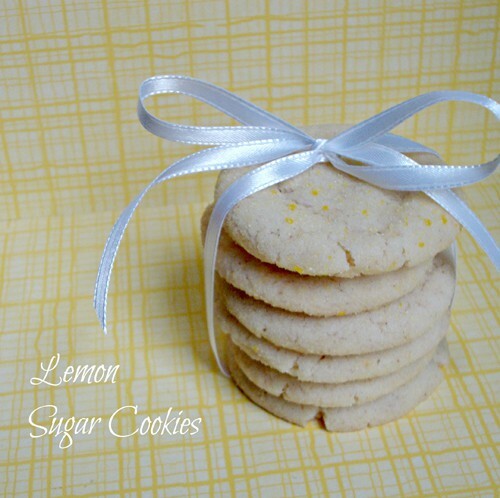 Hubby loves lemon and hubby would LOVE it if I made these. I’m thinking Valentine’s Day 🙂 Pinned! Thanks so much for linking on Busy Monday! you know the way to a man’s heart is through his stomach! Wanted to stop by & let you know that you are one of my features this week at Mom’s Test Meal Mondays!! Jaime, thanks for the feature and I think we could work some sort of trade out! Very creative! I can’t wait to try these. The fillings are endless…Thanks! Jamie, theys were the best lemon pies I’ve had in a long, long time! Can I just tell you how darned tasty these look! Thanks Sherry, they were VERY tasty! I just made these. YUM!!! I used my biscuit cutter and got 15 pies out of the 2 pie crusts. Thank you! So glad you liked them! 15 pies, wonderful. I used wonton wrappers and made mini lemon bites. Almost cried when they were all gone. Those wrappers make it so fast and easy. Thanks for the original inspiration that I embellished upon. You are the cats meow in my book. OMG Paul, you’re a genius! I can’t wait to try your version! Now these look fantastic..I am from Baltimore Md. and grew up with the Tasty Cake pies, lemon being my favorite..Some of their products are now in Ga,they are based in Philadelphia but do not see too many of their pies… this is exciting and i thank you . Thanks Mary. Yes, we can now get TastyKake Products locally but I haven’t seen the pies yet. I LOVE fried pies, any flavor, but apple is my fav! These look so so good! Yes you could use either or you could change up flavors and use a fruit jam. Just wondered how many pies this makes per can of filling? Also, could you make your own homemade lemon pie filling to make these. I am on a homemade or not made at all kick. They look absolutely divine. Got to make some for the hubby, he loves his lemon pie. Maybe make some meringues to go with. LOL. Thanks for sharing this great idea.